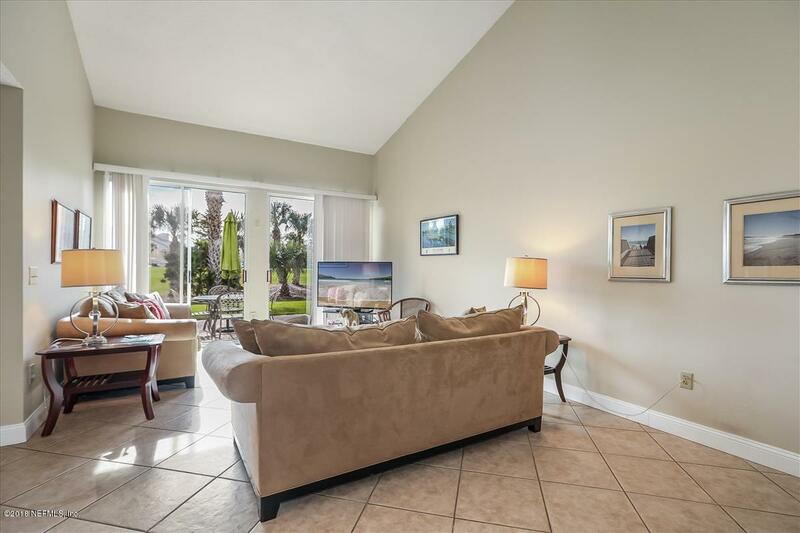 Fabulous beach retreat located in the heart of Sawgrass Country Club. 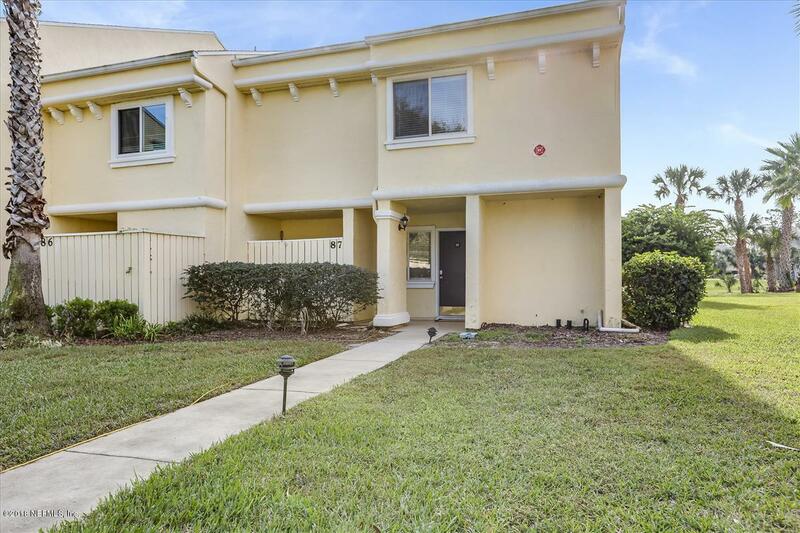 This two story town home style end unit offers privacy and lovely golf views. 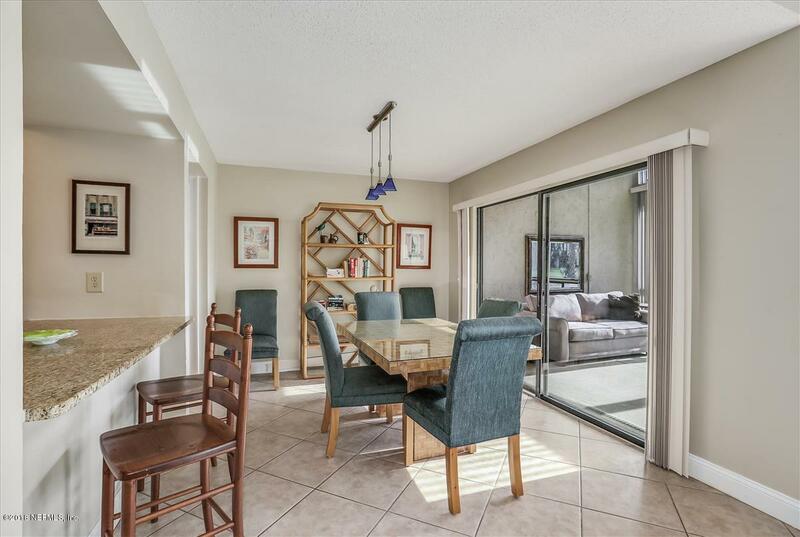 Tile floors throughout the downstairs, soaring ceilings in the living room & den, updated kitchen and baths. 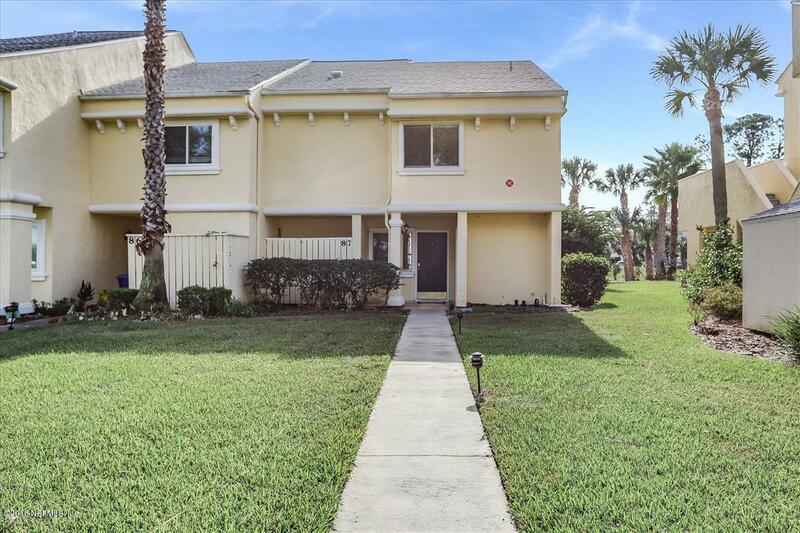 This light and bright condo is a great investment property - short term rentals are permitted or enjoy it yourself year round. Walking distance to the community pool and the beach or take the golf cart included with the sale. Sawgrass Country Club membership is available for purchase featuring 27 hole golf course, tennis, fitness center with adjacent pool, beach club with dining and 2 pools. Listing courtesy of Ponte Vedra Club Realty, Inc..
© 2019 Northeast Florida Multiple Listing Service, Inc. All rights reserved. The data relating to real estate for sale on this web site comes in part from the Internet Data Exchange (IDX) program of the Northeast Florida Multiple Listing Service, Inc. Real estate listings held by brokerage firms other than Florida Homes Realty & Mortgage are marked with the listing broker’s name and detailed information about such listings includes the name of the listing brokers. Data provided is deemed reliable but is not guaranteed. Data last updated 2019-04-20T16:25:31.33. © 2019 St. Augustine & St. Johns County Board of Realtors. IDX information is provided exclusively for consumers' personal, non-commercial use and may not be used for any purpose other than to identify prospective properties consumers may be interested in purchasing. Information is believed to be accurate but not guaranteed by the MLS or Florida Homes Realty & Mortgage. Data last updated 2019-04-20T16:30:39.347.